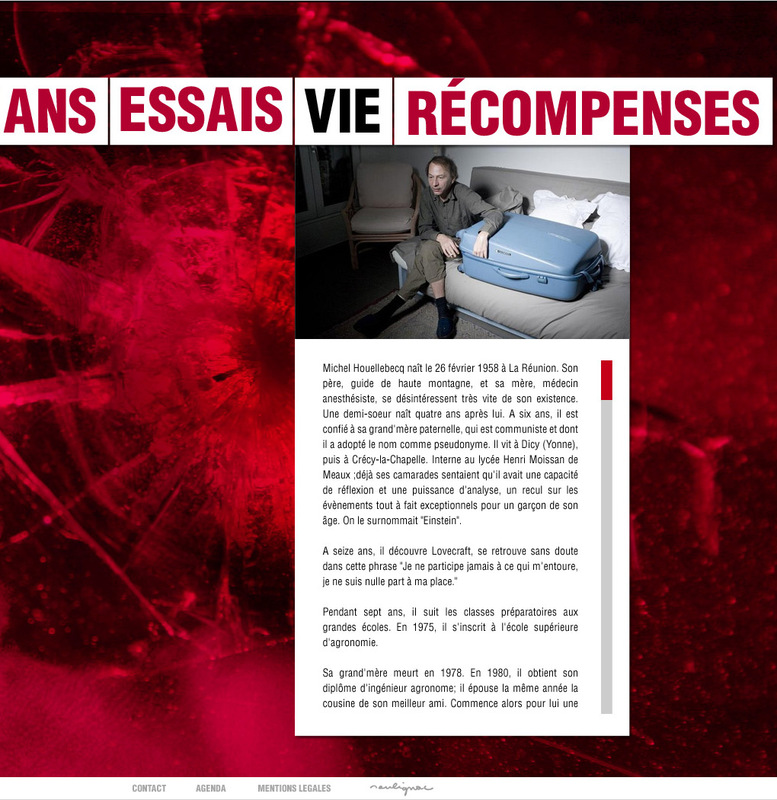 This website is a graphic and ergonomic proposition for the official website of Michel Houellebecq. It introduces three levels of information : books, life and awards. The visual universe is a mix between characters of his novels and the public image of the writer himself. © Michel Houellebecq Website – Graphic & Ergonomic proposition, Francois Soulignac, 2011. 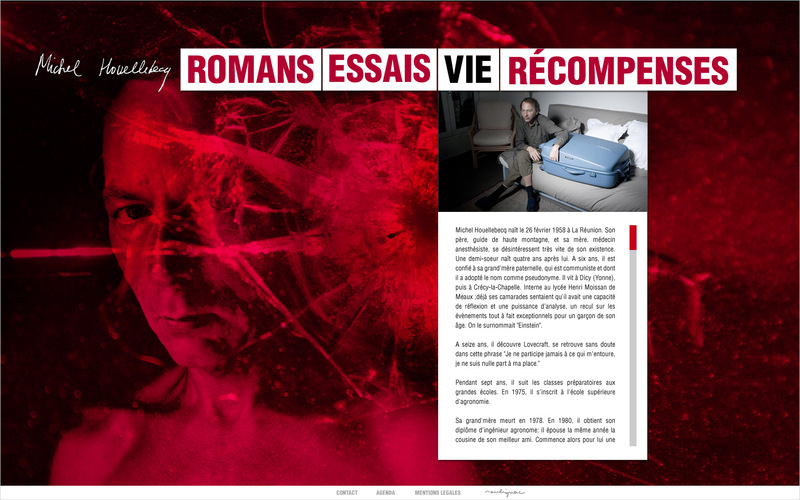 This entry was posted in Digital Art Direction and tagged Digital, François Soulignac, Graphic design, Hi-fidelity wireframes, Personal research, Web Digital Art Direction by François Soulignac. Bookmark the permalink.